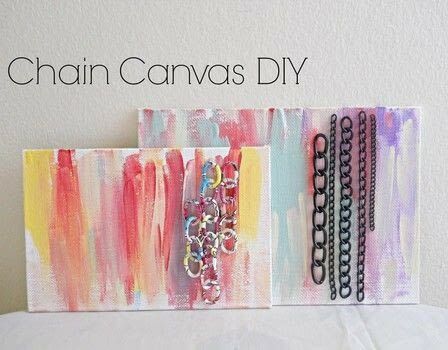 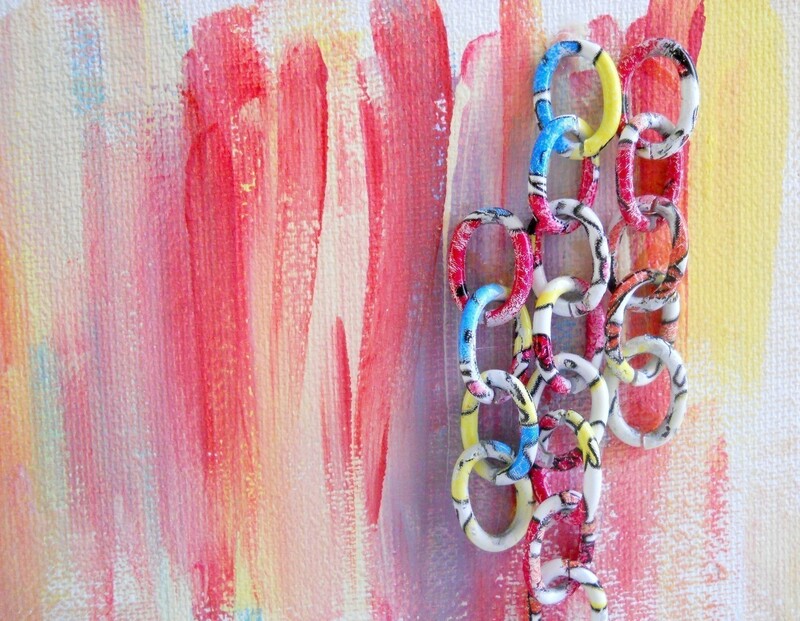 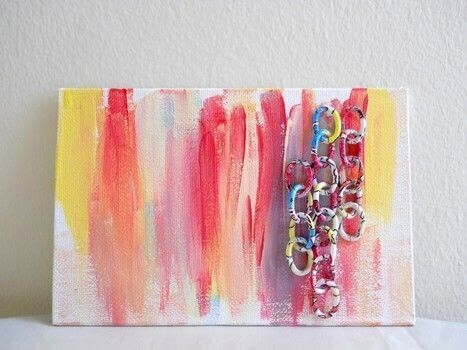 Chain Canvas Diy · How To Decorate A Canvas · Art on Cut Out + Keep · How To by Katie K.
Turn those bits of jewelry chain into a work of art! 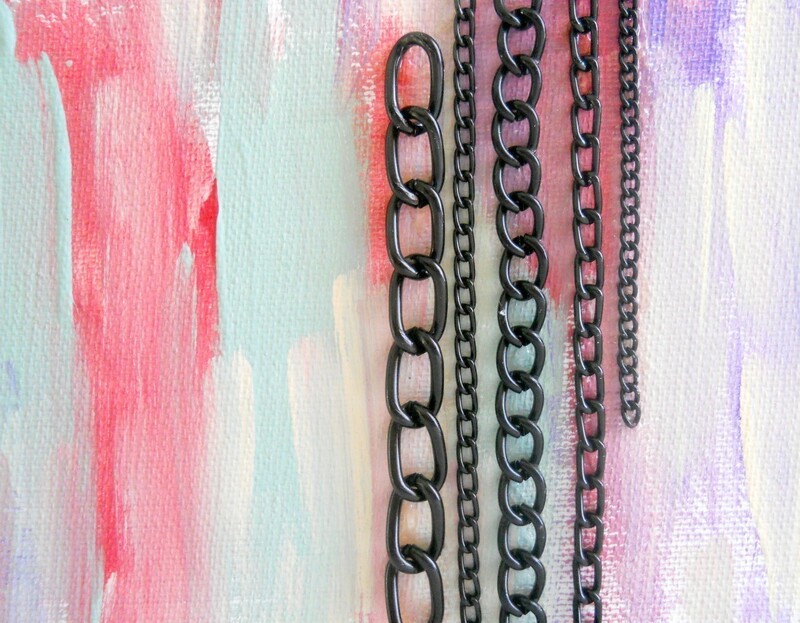 Recently I was going through my jewelry stash and found a bunch of small pieces of chain. 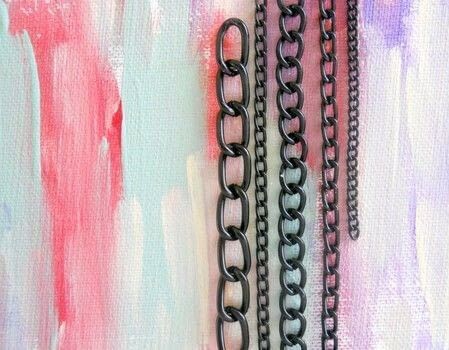 Now, these pieces of chain can't really be used for jewelry anymore but I didn't want to throw them out. So I decided to use them and my new canvases in a fun little project. Today I'll be showing you how to make an awesome piece of artwork that includes all those little bits of leftover chain. 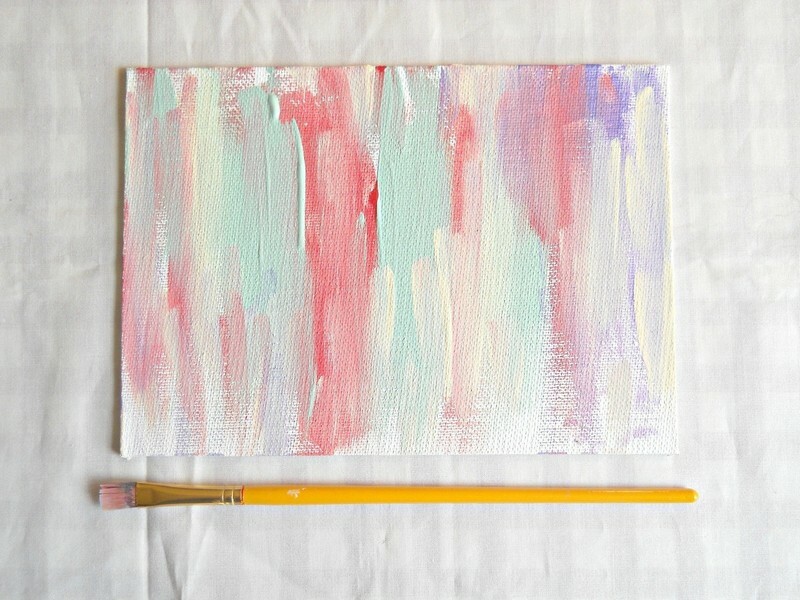 Paint your canvas. For this project, I like the look of thick brush-strokes with layers of different colors. 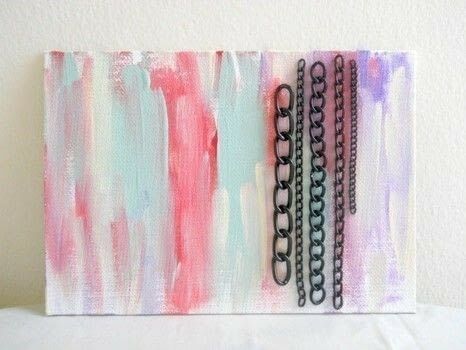 But you could really paint canvas anyway you wanted. 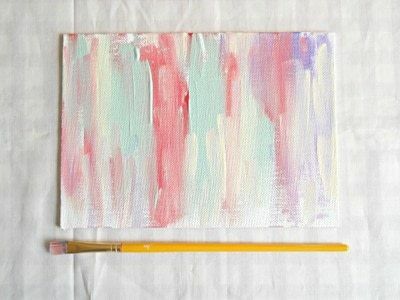 Once your happy with your painting, set it aside to dry. Arrange your chain the way you like it. 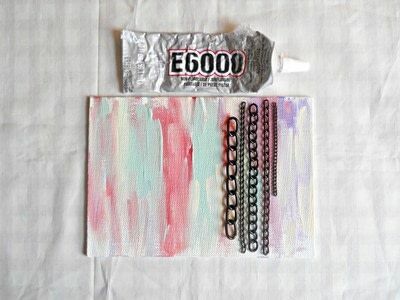 Then with a toothpick and some E6000, glue your pieces of chain down. Once the glue is dry, then your done!